As silly as it sounds whenever my students and I are practicing blending, segmenting and tapping out words I can never come up with a variety of words.... always stuck with the typical cat, bat, big, bag, rug, etc. 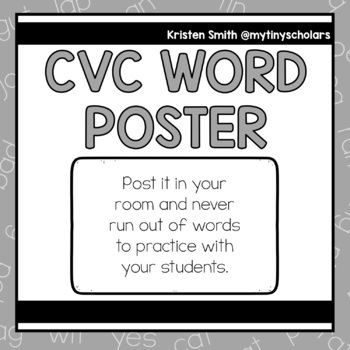 Print out this poster in your classroom to always have a list to practice with your students! 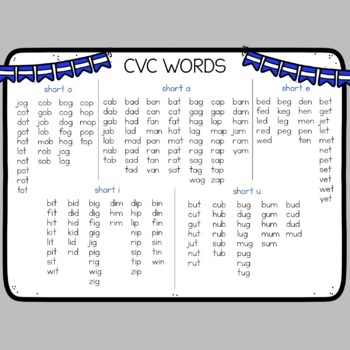 Great for fluency practice in small groups!